Nan works with you to create a gorgeous AND sustainable garden that's appropriate for our region. Working with color, texture, architecture, and mood, she designs a beautiful space that requires very little water, fertilizer, pesticides, or maintenance. Join the many repeat travelers who go behind the scenes with Nan to explore places that most garden tours miss. Whether it's Spain or England, South Africa, Costa Rica, Paris, or even in our own backyards, you can be sure it will be an unforgettable trip. Let Nan delight you with new ideas and inspire you with different ways of thinking about gardens and plants. Whether you're a novice or professional, you'll go home having learned something new and valuable – and wearing a big smile. Nan's interest and curiosity about everything involving plants and gardens shine through in her writing, including books, regional and major gardening publications, in print and online across the United States and abroad. If you're not sure exactly what you need when it comes to waterwise gardens, call on Nan. She'll help you uncover those needs, find the best way to meet them, design the solution, and then make the magic happen. 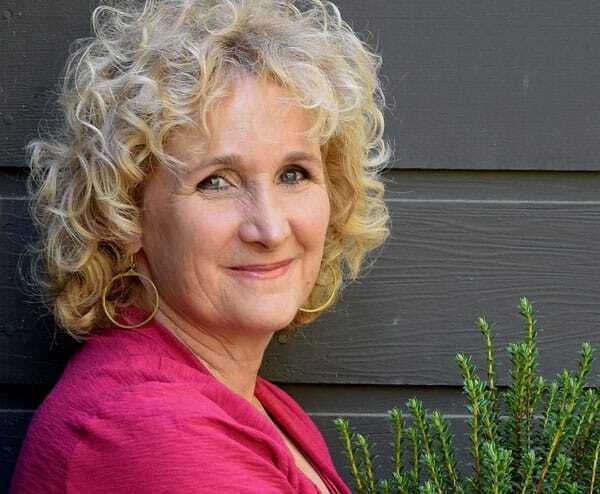 You'll find Nan hosting the award-winning TV show A Growing Passion, as the "Garden Guru” on KPBS radio’s talk show Midday Edition, giving helpful gardening tips on YouTube and answering questions on the San Diego Gardener Facebook Page. [Nan is] entertaining and engaging and just a wealth of knowledge. Nan's classes are fun, very interactive and fill you with the confidence needed to start your own garden. Nan knows gardens - and gardeners!